Genus: Dovyalis E.Mey. ex Arn. Cultivada en Colombia; Alt. 1480 - 1480 m.; Andes. Frohlich, D. & Lau, A. (2014). 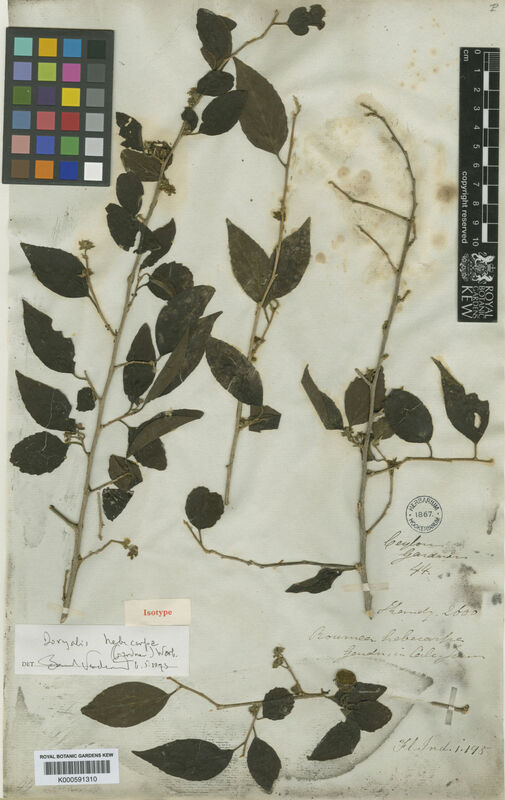 New plant records for the Hawaiian islands 2012-2013 Bishop Museum Occasional Papers 115: 7-17.